My first two years in Philadelphia, I lived in a large row home with three roommates on North 29th Street in Fairmount. Our house had a roof deck, a back patio, four bedrooms, and tons of living space. The house also had central air and laundry in the basement. I paid $640 a month, and had the second best bedroom in the house. Our total rent was $2,400. My third year in Philadelphia, I moved to Center City and lived at 18th and Pine Street. I lived in a fairly sizable bi-level two-bedroom apartment with one roommate. We had no outdoor space, no central air, and shared laundry in the building. We were in walking distance to everything, but I paid $987 a month for the larger of the two bedrooms. Our total rent was $1,875. My fourth year in Philadelphia, I started thinking about law school and knew that I couldn’t afford Center City on a student budget. I ran back to Fairmount. My boyfriend and I moved into a three-story trinity house (a style of home unique to Philadelphia, so some of you may need to Google that term to learn more) that had two bedrooms, central air, laundry, and a small patio. The house was located at 893 N. Taney Street. I paid $637.50 a month, and our total rent was $1275. We stayed there for three years. We just recently moved to Point Breeze, a neighborhood located just south of Center City, because the owners of our last home wanted to sell. We are currently living in a fabulously large two-bedroom apartment with a massive roof deck, but we are each paying $925. Our total rent is $1850. So moral of the story, Fairmount is a fabulous bang for your buck. Related: Stephen App, Asst. Director of Admissions and Communications at Temple Law School, talks about living in the Old City neighborhood of Philadelphia. Fairmount is the greenest part of the city, literally. You are just minutes from the Schuylkill River Trail (a trail perfect for running, walking, or biking that stretches for over twenty-six miles) and Fairmount Park (one of the largest urban green spaces in the country that consists of more than 9,200 acres of trails, woodlands and wetlands). There are a ton of affordable restaurants. It’s actually impossible to name all of the good ones, but regardless of whether you’re in the mood for out-of-this-world sushi, a good burger, or fantastic pizza – Fairmount’s got you covered. There are a variety of sit down restaurants (Mexican, Italian, American, Moroccan, Ethiopian, Thai, Greek, etc., etc. ), as well as a number of more casual cafés and eateries. My absolute favorite sandwich shop in the city, Rye Bread, is a must. Additionally, about half of the restaurants mentioned above are BYOB – meaning you can bring your own wine, beer, or liquor. This really helps to stretch the student budget. Also, the average entrée in Fairmount is about $5-10 cheaper than it is in Center City. If you prefer to stay in, there are small corner stores in several spots and a Whole Foods located immediately in Fairmount. Best thing about Fairmount: Proximity to green space, good food, and Temple. Worst thing about Fairmount: Not being on a subway line. How I get to Temple Law: Bike, car, or the Girard Trolley. Closest grocery store: Klein’s Supermarket (family owned since 1892) and Whole Foods. Coffee: The Lucky Goat or Mugshots. Drinks: Bishop’s Collar and Urban Saloon. Dinner: Zorba’s Tavern or Figs. Dessert: The chocolate chip pecan pie at Jack’s Firehouse or ice cream at Philly Flavors. You’re also close to Temple. I lived in Fairmount for my first two years of law school and either biked the two miles, drove, or took the Girard Trolley. My preferred method of transport was biking, and it took me less than 15 minutes. It was wonderful. I am now about four miles from Temple and either bike, take the subway, or drive, but really miss being so close to campus. 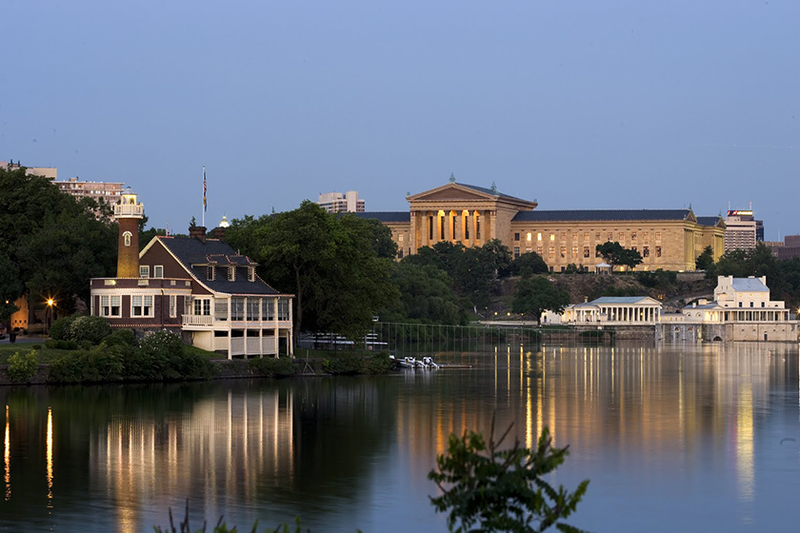 In Fairmount, you are just a short walk away from the Philadelphia Art Museum, the Barnes Foundation, the Rodin Museum, the Franklin Institute, and the Penitentiary. You’re also not far from the Philadelphia Zoo (the first zoo in the United States) and the Please Touch Museum (a children’s museum). Lots of these museums, including the Zoo, host fun events for young professionals on weekday nights. Although you are only one and a half miles from Center City, you are still one and a half miles from Center City. Fairmount is more residential than Center City, and although there is a lot to do there, you will find yourself venturing into Center City often. As a frame of reference, people who live in Center City rarely venture into Fairmount. The majority of your future friends from law school will not live in Fairmount and it will be very hard to get them to come up to your neighborhood for nights out. So you will be the one spending the $8.00-$15.00 in cab fare. It is tough to live in Fairmount if you don’t have a car. Although there are tons of buses, Fairmount is not on the subway line. If you’re planning on living in Fairmount without a car, you’ll want to make sure to check out public transportation options. Finally, Fairmount is best if you have a roommate. There are plenty of two, three, and four-bedroom homes and apartments, but few studios and one-bedrooms if you don’t want to live in a large apartment building. If you don’t mind living in a large apartment building, there are studio and one-bedroom options aplenty but they are more expensive, and closer to Center City prices. Fairmount is a fantastic place to live in the city – especially on a student budget. Elisa Lala, Philly is Packed with Places to Picnic, Philly Voice (Aug. 13, 2015), http://www.phillyvoice.com/philly-packed-places-picnic/.